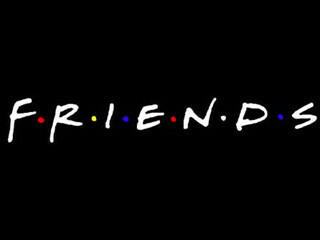 Friends the beloved show has finally seen the release of the full series on Blu-ray today. To celebrate, Warner Bros. and the good people over at PartnersHub, are giving you the chance to win a Friends prize pack including 2 over sized coffee mugs and a picture frame just like the one on Monica's door. What do you have to do to win? Post in the comments with what you loved best about the show, you're favorite episodes, characters, and moments. I'll be picking a winner based on which comment I like best. You're welcome to enter as many times as you want. Contest ends November 24th with the winner being announced shortly thereafter. This contest is open only to U.S. residents. In addition, there's a fun trivia game to prove your Friends metal, and mashup of clips from the show. Head back everyday to play a new trivia round. Play the game, watch the video, then enter to win! Sadly I did not watch the show. My daughters loved it. Does that count? If I won I could have their Christmas covered! "What is the name on Chandler's TV Guide?" haha my friend got the friends dvd box set for her bday a couple years back....and now this comes out. HA. I love the timing. Friends??? Bro, say it ain't so. I actually really like the show. My favorite episode is when Joey's plastered all over billboards in an ad about gonorrhoea/STDs. Yet he can't understand why he can't get a date. My 2 favorite episodes are The one with the trivia game that Ross hosts for girls vs guys for the apartment and The one where Joey is trying to be the host of a game show, Bamboozled. I would love to have a naked jello wresting match with Courteney Cox and Jennifer Aniston. Lisa Kudrow can be special guest referee. Even though I've seen each episode upwards of 30 times each (no exaggeration- I'll turn it on for background noise & I can be like "Hahaha, Oh Chandler" while I'm vaccuming, you know? ), I still laugh just as hard as if it were the first time I'd seen it. One of my (equally dorky) girlfriends & I have thing where when we're having a bad day, we'll text quotes back and forth & it just cheers us up without much effort. Phoebe is by far my favorite character in the main cast. Maybe it's because I just adore Lisa Kudrow & have yet to see her in anything that she didn't perform amazingly. There were a lot of supporting cast members that were awesome too... Paul Rudd, Aisha Tyler, Giovanni Ribisi, James Michael Tyler to name a few. And the star cameos were always great. Ps- I'm not proud of this, but I nailed the triva game... okay, I'm a little proud.